The first ancestor of the village of Kandolo was Likulufe. 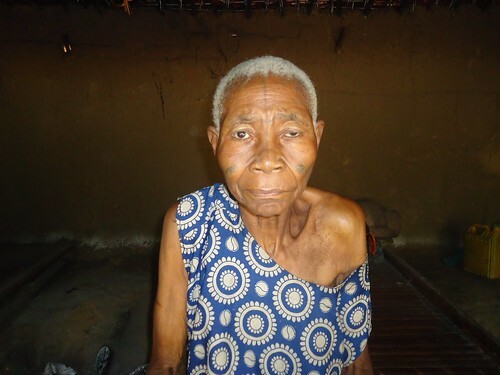 Likulufe begat a first son Kandolo who begat Bokendi ; Bokendi begat Mohomo ; Mohomo begat Kefota, Kefota begat Lobanda Bosongo (Kandolo2), Lobanda Bosongo begat the present chief of Kembe, Adolphine Lobanda. Kandola2 or Lobanda Bosongo, then chief of Kembe, when he came to listen to our community meeting in Yalombe in 2011. As in the Old Testament a people are defined by their genealogy. And so it is among the Kembe whose chief’s village was Kandolo. They have their own language, a dialect different from the other ethnicities of Balanga West and different from those of Balanga East. 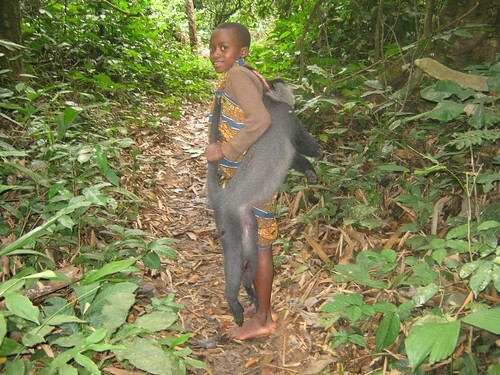 A Kembe boy proudly carries back the blue monkey from a hunt with his big brother. And they have their “lands”. 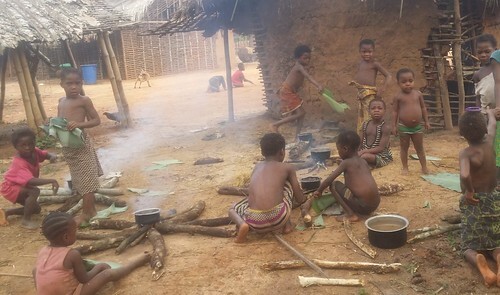 The Kembe clan moved from one village site to another through their forests of Balanga West. Their past village sites or “tongos” : Kufa, Topotola, Lusinangombe, Kakoakakoko, Mingazi, Wenjwa, Hulangenda, Wanga and Kandolo. Kandolo means “sweet potato vines” and so you will know the “tongo”. This map by the historian and anthropologist Jan Vansina1shows the four central African gaps in ethnographic information. TL2 is one of them. There is NO written ethnographic record for the area. 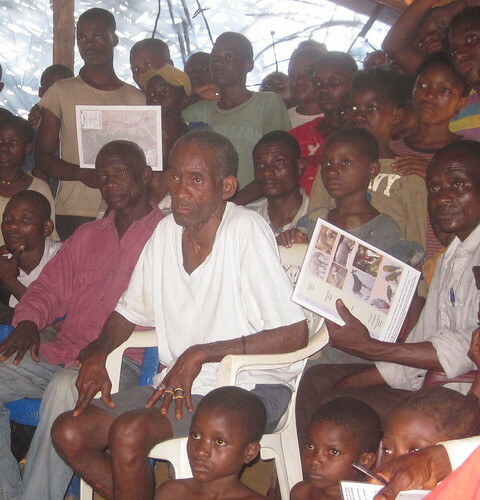 The elders know a much longer genealogy for Kembe than only that of the Kandolo village. It goes back to Loboto Kembe who first settled in what we now call Balanga West. 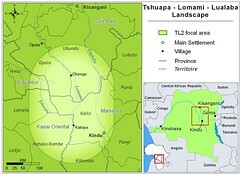 Loboto’s ancestors lived in the northwest, they came up the Lomami River. When?? We can only count generations. Perhaps two hundred years ago? Old Kandolo2 and his wife weeks before they died. On Sept 10, 2017, old Kandolo 2, asked the child who brought his food. Old Kandolo began to mourn. In less than 24 hours he, too, was dead. Old Kandolo had been a powerful man, but unusual for a chief, he had only one wife. As he lost strength he chose his youngest daughter (also unusual), Adolphine, to succeed him. Adolphine, the current Chief of the Kembe. Kandolo and his wife left another powerful person, Liboke, the keeper of tradition for the Kembe people. Liboke is Kandolo’s grandson by an older son. 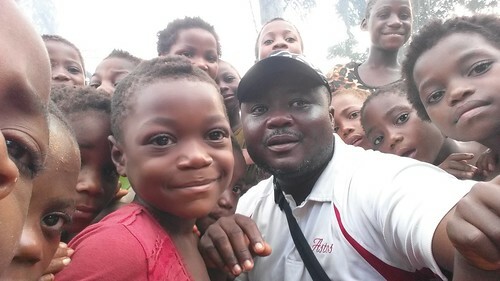 He is a respected man among the adjacent ethnicities, as well: among the Balanga, the Ngombe and the associated Pygmies. Liboke, foreground, is the keeper of tradition. A feared man, a man who manages magic and spells. 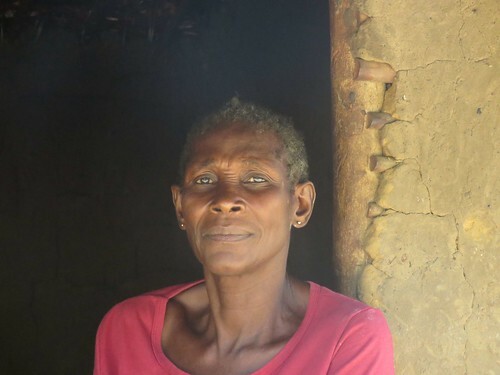 I remember them, vieux Kandolo and his wife, when we walked through Balanaga West in 2014. They were pleased to have our visit. Nyota was weeding a garden by the house. She stood, bent over, and felt her way with a stick towards us. How many years of experience with crops and their weeds to be able to work in her garden while essentially blind? Her husband too, had become very weak. He could not rise, but was cordial and welcoming, a model for any chief in a dynastic tradition. 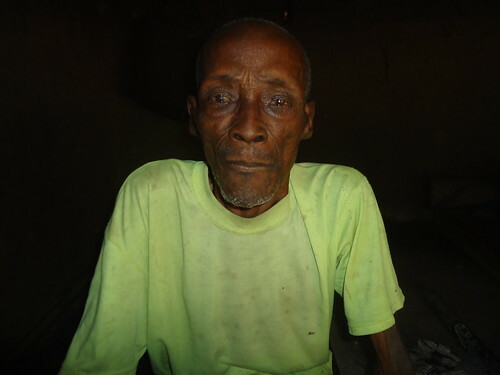 Old Kandolo handed his gun over to the government in July 2016 before his death in September 2017. Old Kandolo also kept an army rifle. The rifle certainly served in the fearsome MaiMai uprising out of Balanga West at the end of the 20th century. At that time Liboke (pictured above) was a principal MaiMai leader for the entire region. 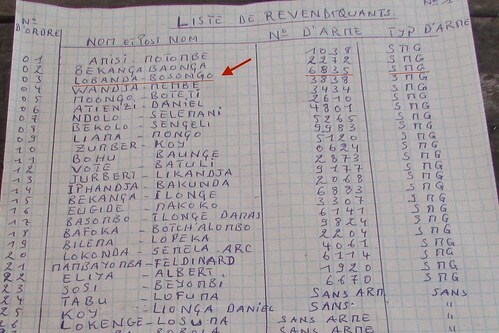 That uprising helped push the Rwandans out of DR Congo. The Balanga West youth think of themselves as hunters and warriors. They were defiant, here in Bafundo, even when offering peace in July 2016. Old Kandolo’s military rifle probably served again in early 2016 during Colonel Thom’s uprising. 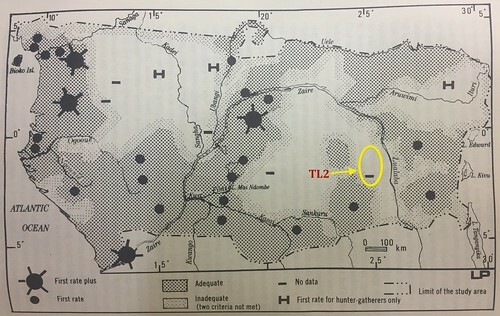 Thoms incited the men with the toxic warning that the PARK was coming to steal Balanga and Kembe forests and to forbid all hunting. 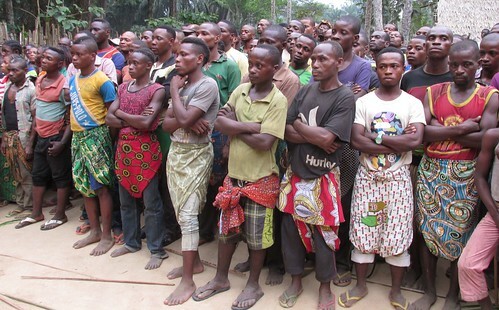 We will never know how many boys and young men died in that recent uprising. We know the military buried one of their own near where he fell. 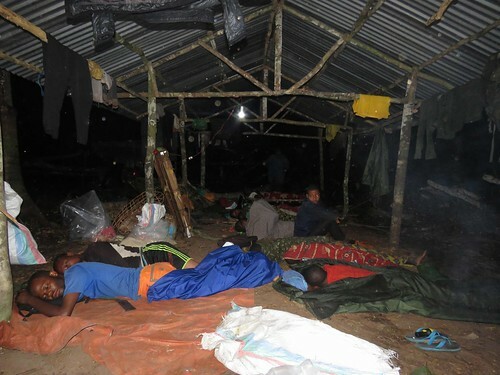 Balanga boys were also seen to fall, but their bodies retrieved by their families. Military during their march to counter the uprising in Balanga West of early 2016. 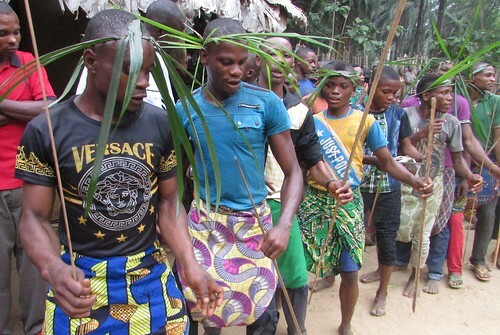 But after that rebellion the Kembe, Balanga,Ngombe and Pygmy groups of Balanga West turned against Thoms: “Enough”; 136 men and boys marched to Bafundo in Balanga East to pledge their allegiance to the Congolese government and turn in their military arms. That was in July 2016. 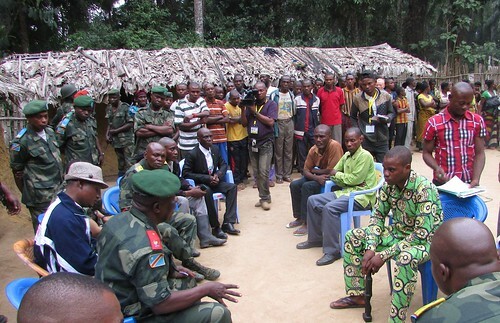 Discussions in Bafundo before the military arms are handed over. Liboke on far left of elite Balanga West delegation. 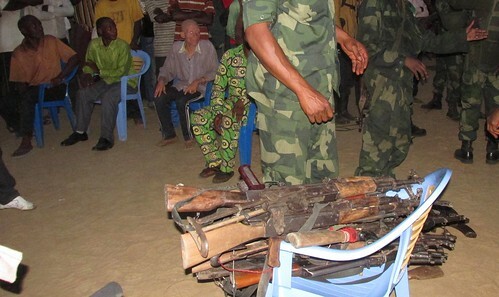 The rifles handed over in Bafundo, July 2016. Was it the old people who prevailed? The youth are many fewer than the children, but still far more abundant than the elders. And the youth are mainly uneducated. Thoms, himself, can neither read nor write. This intellectual distance adds to the geographical distance isolating the peoples of Balanga West. 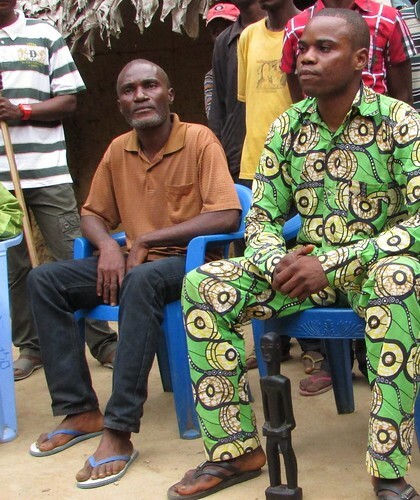 Liboke (left) and Thoms brother,Reddi, at the handing over of weapons. 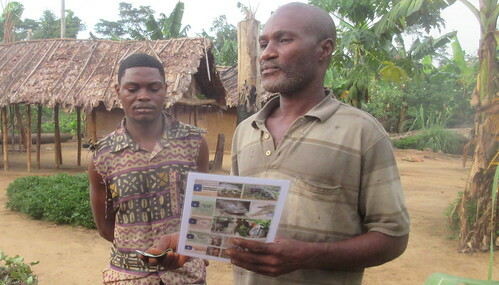 Liboke remains peaceful on his land, an example to others. But now, only a year after seeking peace, Reddi has joined Thoms. They have reformed an outlaw band, and headed to the northeast, to the Mituku, also park buffer zone. Who, we wonder, among these men and boys who danced at the handing over of weapons, have now joined Thoms and Reddi for more elephant killing and banditry. Now in Balanga West and amongst the Kembe we have built a permanent camp and developed relations with the chiefs. Adolphine held a month long mourning for her mother and father. It had just ended when I came over to Balanga West in October. We cross the Lomami from the Park (east) to Balanga West. In front of me is Olivier in charge of our community efforts in Balanga West. 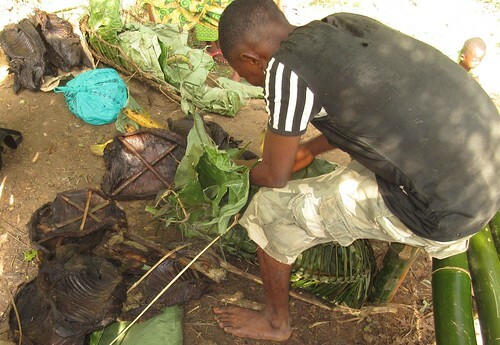 Request: Allow us, of Balanga West to cross the park with bushmeat we hunt outside the park. Response: Our TL2 project put in a “jeton” or token system that makes that possible. All bushmeat loads are detailed on a slip that is shown on the other side of the park. Request: Build a permanent shelter at the 23 km halfway point across the park where our people carrying loads across can spend the night. Response: We have built the shelter. Twice I have slept there. Our shelter at Bemanje stream, in the park, halfway between Balanga East and Balanga West. Request: Loan us seed rice to plant – since during the year of Thom’s war all the rice was lost in neglected or burned fields. We now live off bananas and manioc. Response: We are distributing rice this month of November, the final month for rice planting. Little girls in Balanga West play “house” each with her own kitchen fire. 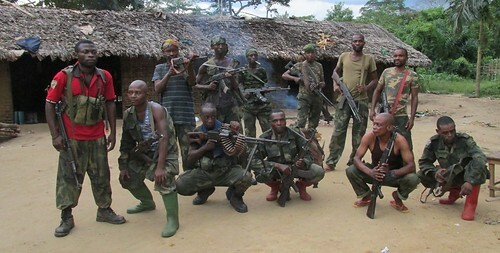 And where is Thoms?…He and Reddi took a dozen AK47s that were never handed over and about as many men. Perhaps some of these men have criminal records like Thoms –? They have moved out of Balanga West, crossed the park and moved north to the Miktuku. They are still in the buffer zone; is their intention to hunt elephants? Thoms’ s story is not over yet. 1 Vansina, Jan. 1990. Paths in the Rainforests. Toward a History of Political Tradition in Equatorial Africa. The University of Wisconsin Press. Madison,Wis. 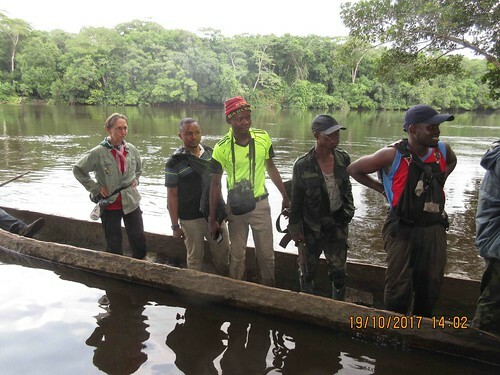 This entry was written by Terese Hart, posted on 2017-11-07 at 11:58 am, filed under About the project, community conservation, Indigenous peoples, Law and Order. Bookmark the permalink. Follow any comments here with the RSS feed for this post. Trackbacks are closed, but you can post a comment. A good story of Kembe power. I do not know that Liboke is of this descent. It really interesting.